The stock market is an incredible wealth-building tool. But like any tool, you have to know how to use it. Unfortunately, there’s a lot of confusion and misunderstanding out there about how everyday people should invest in stocks. You Don’t Need the Latest Stock Tip. Some people think that you need to keep abreast of the latest hot stock tips. Others think that you need a crystal ball to know how to time the market just right. “Buy low, sell high!” they say. But the reality is that people who use those strategies end up losing money more often than not. And they’re the kind of people who will tell you not to invest in the stock market. Don’t listen to them. The problem is not the stock market. The problem is not using the stock market correctly. Here’s the secret, readers: investing isn’t hard. You don’t need to stay glued to stock tickers 24/7. In fact, I only check my stocks once every few months. You don’t need to predict the future about how this or that company is going to succeed or fail. And you definitely don’t need to pay money to an expensive financial advisor to handle your investments. You just need a simple strategy that you can commit to, year after year. As a great investor once said, time in the market is far more important than timing the market. And that’s where Wealthsimple comes in. Wealthsimple is a new investment platform that builds you a personal, low-cost portfolio and puts your money to work like the world’s smartest investors. It has been featured in CNBC, Forbes, and Bloomberg. Wealthsimple uses low-cost index funds and smart technology to reduce the human cost of actively-managed accounts. 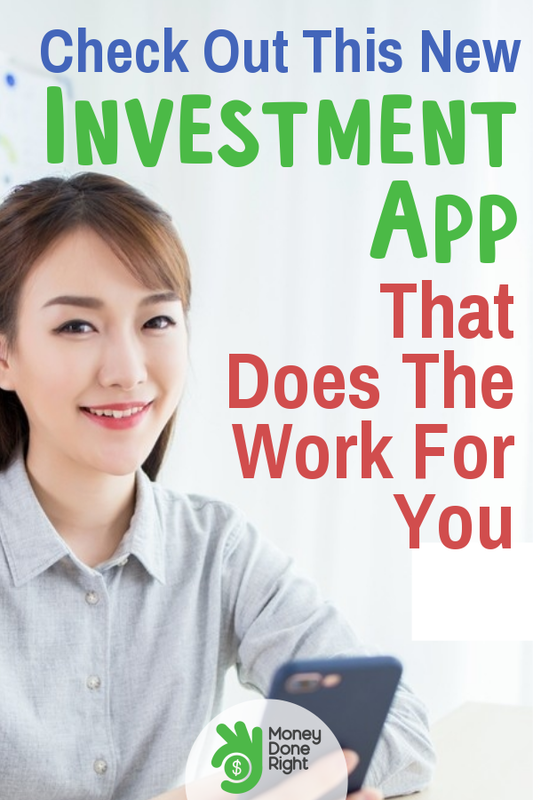 It has developed an algorithm in which you answer a few simple questions — such as your goals, your income, how much you have to invest, and when you want to retire — and then this algorithm invests your money for you. And it’s not based on emotion or the next big stock pick but rather on cold, hard data. I don’t know about you, but I’ll take that over my gut feeling or some guru’s latest stock tip. Check out this 60-second video to learn more about Wealthsimple.? As Wealthsimple investors ourselves, we’ve gotten to know a lot about them, and we couldn’t be more impressed! Below we have described what we like best about Wealthsimple and why we invest with them. 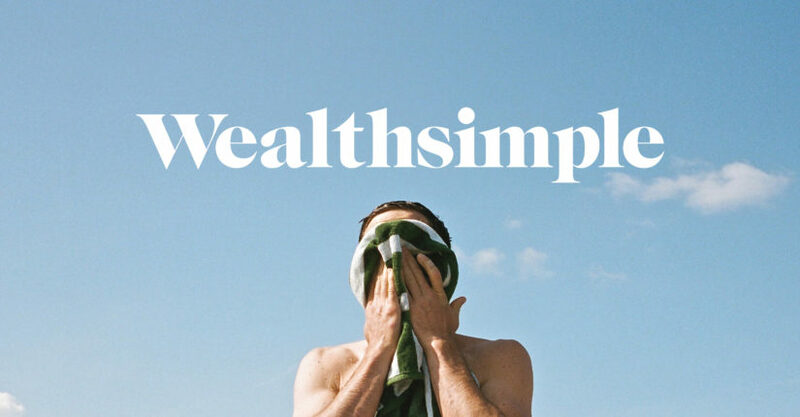 Wealthsimple Takes the Guesswork Out of Smart Investing. The stock market is an incredible wealth-building tool, but unfortunately many people think of it as something that they’ll never be able to understand or take advantage of themselves. And they couldn’t be more wrong! The truth is that investing in the stock market is actually very simple. The tried-and-true method for profiting from the stock market is making sure that your asset allocation — how much of your wealth is invested in various asset classes such as U.S. stocks, foreign stocks, mid-cap stocks, etc. — is appropriate given your age, income, and goals. And this is where Wealthsimple does the heavy lifting for you. Wealthsimple asks you a few questions to determine what asset allocation will provide you with the perfect blend of risk and reward to match your age, income, and goals. The majority of stocks do not even beat Treasury bills, which yield much lower returns than the stock market as a whole, and the vast majority of professional stock pickers do not beat the market in any given year, much less routinely. I’m not just talking about your college buddy who dumped his life savings into Snapchat stock. I’m talking about professional, well-paid money managers. “Fewer than 1 in 5 [professional stockpickers] beat the S&P 500 in 2016, driving half a trillion dollars of investors cash into indexes, primarily through passively managed exchange-traded funds.” CNBC.Stock Pickers Beware: Charlie Munger Thinks You’re in Big Trouble. February 15, 2017. Wealthsimple knows this, so it doesn’t invest your money into individual stocks. It invests them in low-cost index funds that track the performance of thousands of stocks so that if one of them has a bad year, your wealth stays secure. Believe it or not, when it comes to stock market investing, “set it and forget it” really is the best strategy. Just like you shouldn’t try to pick individual stocks, you shouldn’t try to time the market, either! When you try to time the market, you risk missing out on some of the best stock market days — and missing out on the best days in the stock market can significantly harm your portfolio’s performance. Did you know that if you missed just the 25 best days of the stock market since 1970 (that’s 47 years ago, folks), your annualized stock market returns would have been cut in half? For the average investor, that translates to tens if not hundreds of thousands of dollars they missed out on. Don’t let that be you! But you don’t have to worry about that with Wealthsimple. When you invest with Wealthsimple, your money is always invested — the smart way — in the market, so you won’t miss out on anything. Ready to Start Putting Your Money to Work? So are you ready to get started investing on auto-pilot with Wealthsimple? Then click here or on the button below to open your account and also collect a smooth $50 bonus while you’re at it! It is referred to as Email Profit Engine. best I have found out so far. But, what concerning the conclusion? Are you positive concerning the supply? a 24-hour fitness channel then you might be in luck. that covers each of the facets of creating your own security protection system for the home. One more fantastic piece of writing from excellent blogger. you articles. Is it possible you share a bit of you authoring skills with me? It might support a lot in that unlimited paper penning for university. page Brigitte which assists me a lot with my authoring problems. same trouble as my own. says it’s combined however nothing happens. Hello, could you clarify what you mean by this?